In the last twenty or thirty years, particularly in American English, there has been the curious ascendance of the word tweak in the meaning ‘to make small adjustments in; especially: fine-tune’, deriving from the primary meaning ‘to pinch and pull with a sudden jerk and twist’; cf. the OED version: ‘to seize and pull sharply with a twisting movement; to pull at with a jerk; to twitch, wring, pluck; esp. to pull (a person) by the nose (or a person’s nose) as a mark of contempt or insult; to press (the lips) together so as to pinch’. This verb takes its place in a whole inventory of words whose initial sounds are tw-, i. e., the voiceless (properly, tense) dental stop t plus the bilabial glide w: cf. twit, twitter, twitch, twaddle, etc. 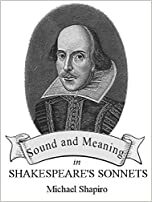 Among this rather long list, if one compares, at random and for example, the meanings of twit ‘a fool; a stupid or ineffectual person; to blame, find fault with, censure, reproach, upbraid (a person), esp. in a light or annoying way; to cast an imputation upon; to taunt’ with twaddle ‘senseless, silly, or trifling talk or writing; empty verbosity; dull and trashy statement or discourse; empty commonplace; prosy nonsense'(< OED), one detects a semantic thread of a rather abstract sort that binds them, namely the meaning of QUANTITATIVE OR QUALITATIVE INSIGNIFICANCE, a connotation of partiality or diminutive weight. Thus the sound denoted by twitter is small in volume and can only be attributed to a diminutive bird; a tweak is but a small adjustment; and a twit is a lightweight fool; and so on. The question that needs to be asked is: what is it about the word-initial sequence tw- that renders it fit for use (built up over the entire history of English) in words that all share this abstract sense of partiality or small quantity? The answer lies in the structure of the English syllable. The structure of the syllable is composed of what are called onset, nucleus, and coda. The optimal English syllable consists of the sequence CVC, i. e., consonant (= onset) + vowel (= nucleus)+ consonant (coda). Where in the word and at what boundaries a syllable occurs in English is important because only certain combinations of sounds are allowed by the syllable structure rules. In word-initial position, more to the point of this post, one can have, for instance, the combination sl- (as in slide, slip, etc.) but not *sr-, even though both l and r are liquids. Similarly, the onset tw– (obstruent + bilabial glide) is allowed but not *tj– (obstruent + yod). Linguists have long identified the group consisting of words like slide, slink, slither, and slip as sharing the meaning of a certain kind of movement but have never been able to identify the link between the particular syllable onset and the meaning of the group as a whole. But in the case of words beginning in tw– the sound-sense parallelism can now be understood as a case of ICONICITY (relations between sounds mirrored by relations between meanings), once the character of the onset in these words is recognized as a partialization of the optimal onset. In other words, the combination tw-, consisting of a cluster (complex) rather than one sound, constitutes a reduced version of the optimal combination (simplex) of obstruent + vowel. This partialization or reduction at the level of sound is mirrored at the level of sense by its alignment with words whose abstract general meaning is DIMINISHED SUBSTANCE. That is what explains the tropism of tweak in contemporary English. What in an earlier post was characterized as “discourse-introductory so” should now receive a more expansive characterization in terms of REFERENCE, namely either to (1) what the speaker was/is thinking before beginning the utterance headed by so; or to (2) the content of an interlocutor’s utterance, to which the utterance headed by so is a retort. This increasingly common discourse strategy in American English has an obvious binding and linking function, in that––for younger speakers in particular–– so has become an almost obligatory opening word without a strictly semantic function. It tends in fact to add little or nothing to the preceding or following content. In this respect it resembles the near-ubiquitous (and vacuous) word basically that one hears qualifying what would in earlier times be offered up without qualification.